Evil Hat Productions, LLC, 9781613170120, 199pp. Down a lonely alleyway, under a starless sky, lies a city that never was, yet is: the Mad City, where nightmares walk the streets, and a good night's sleep can get you killed. Here, then, is a book from that place.Within these recovered pages are the tales of the Awake, insomniacs who've walked those perilous streets, bringing a bit of the power of dream with them to fight back the night - always at a terrible cost. For many, it will not end well. For a few, they might just become heroes - or at least find their way back home. For you, a choice. Turn away. Don't read this book. And maybe you'll continue to rest easy. 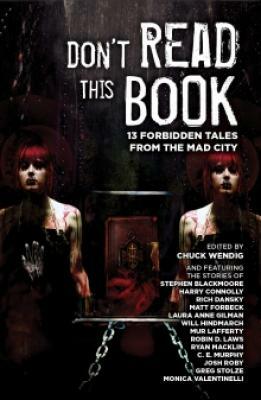 Or open the cover and enter a world unlike any you've ever dared to imagine Don't Read This Book introduces 13 forbidden tales from the Mad City and the world of the Don't Rest Your Head RPG.